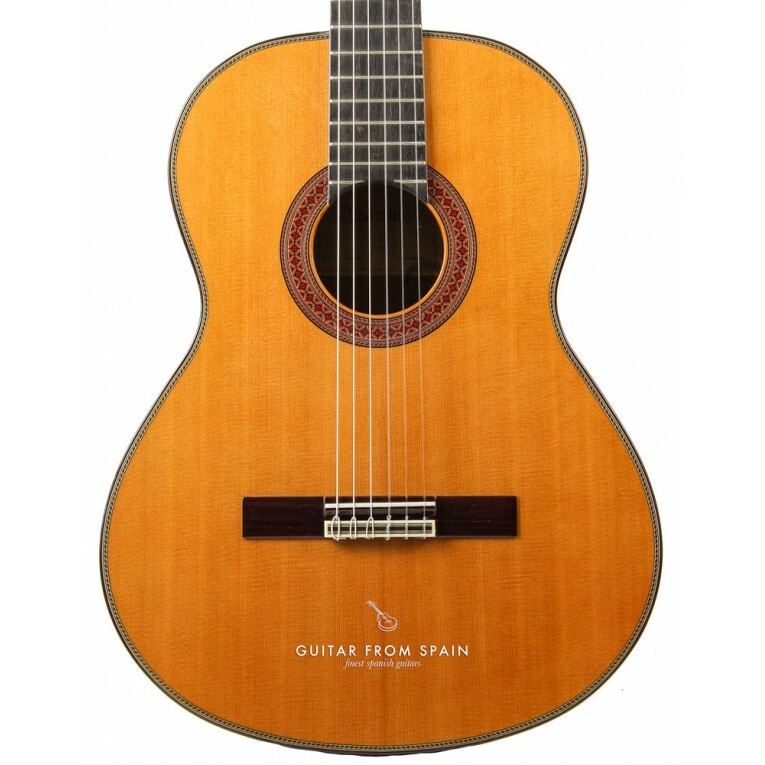 The New guitar Alhambra 7C CLASSIC, previously named Alhambra Mahogany was designed for the 50 Anniversary commemorative models from Alhambra Guitars. 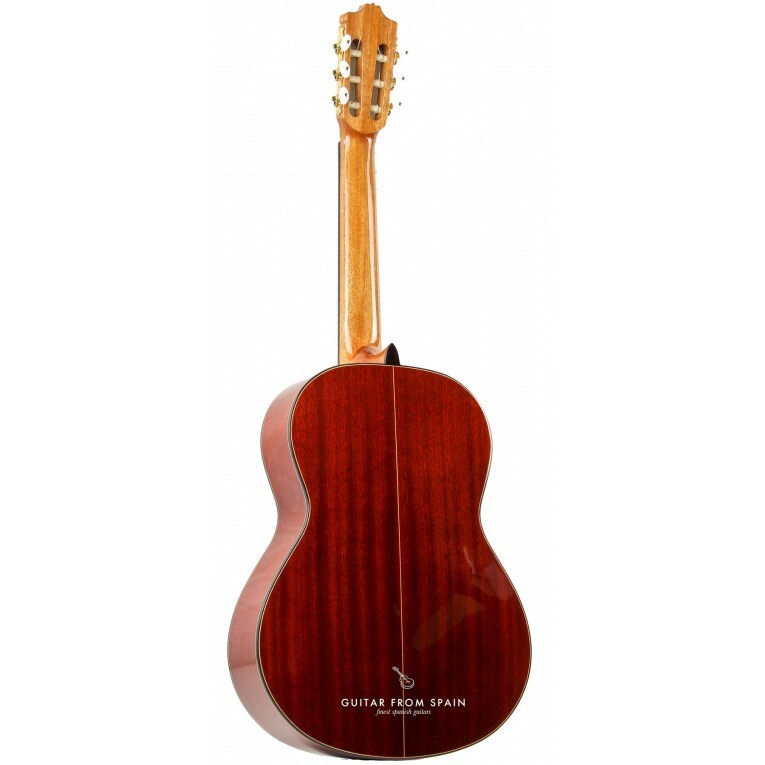 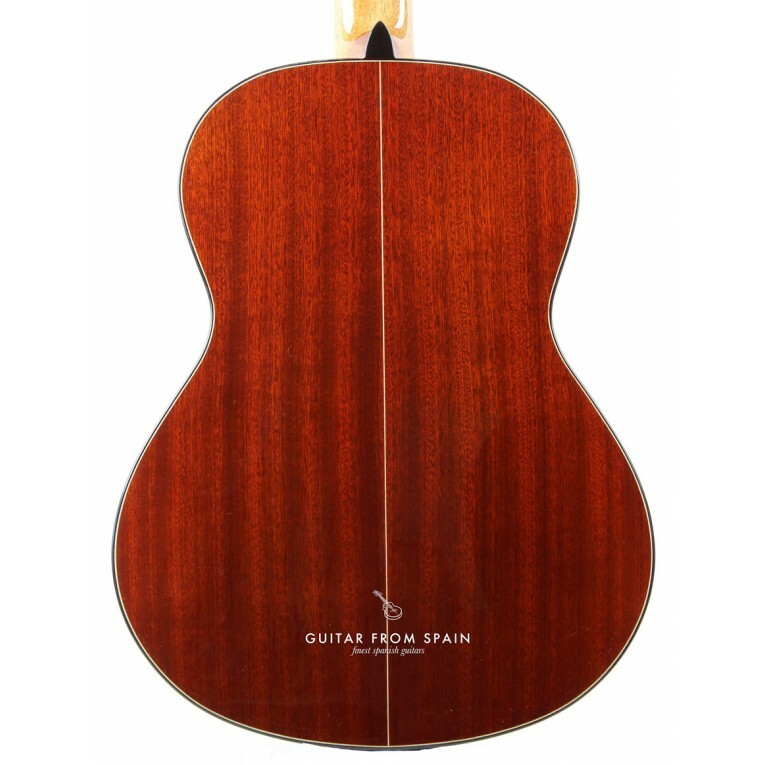 The new model features a solid cedar top and a solid Mahogany body. 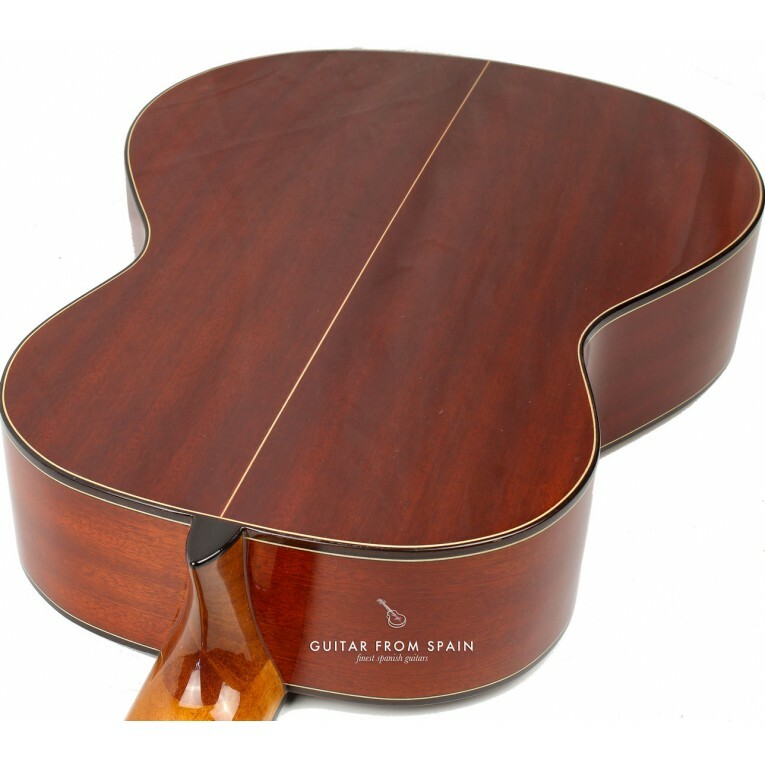 Mahogany neck with Internal ebony reinforcement. 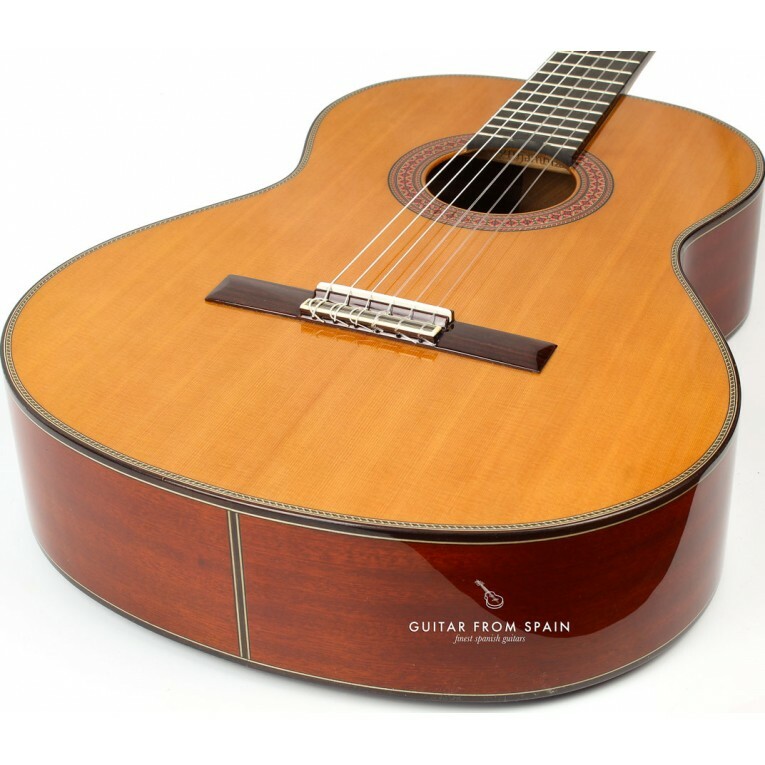 Not only the sound is different, but as you take it, you notice the top is made of high quality solid cedar. 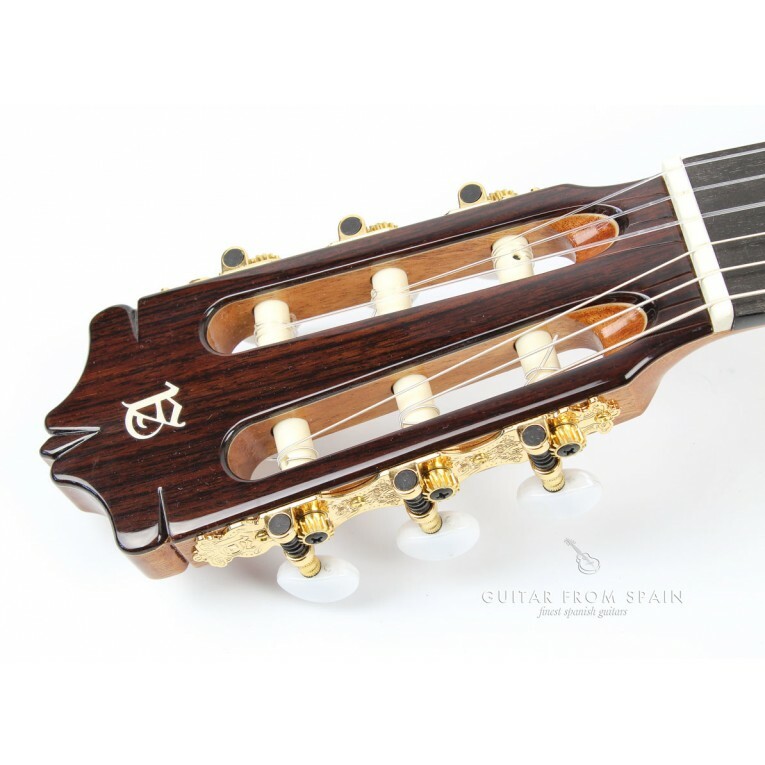 A lush Rosewood headstock, Gold Plated Tuners, and decoration on the bridge to match the Rosette. 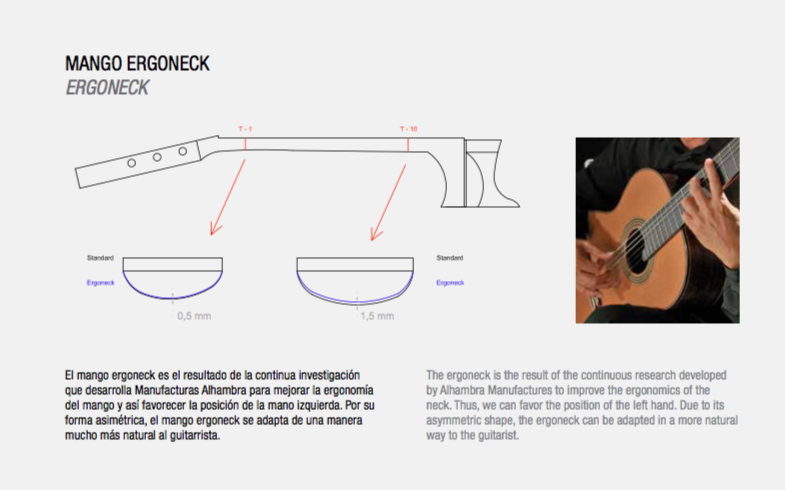 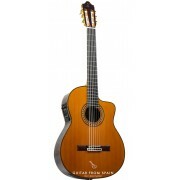 This give this guitar Elegance and Classy look. 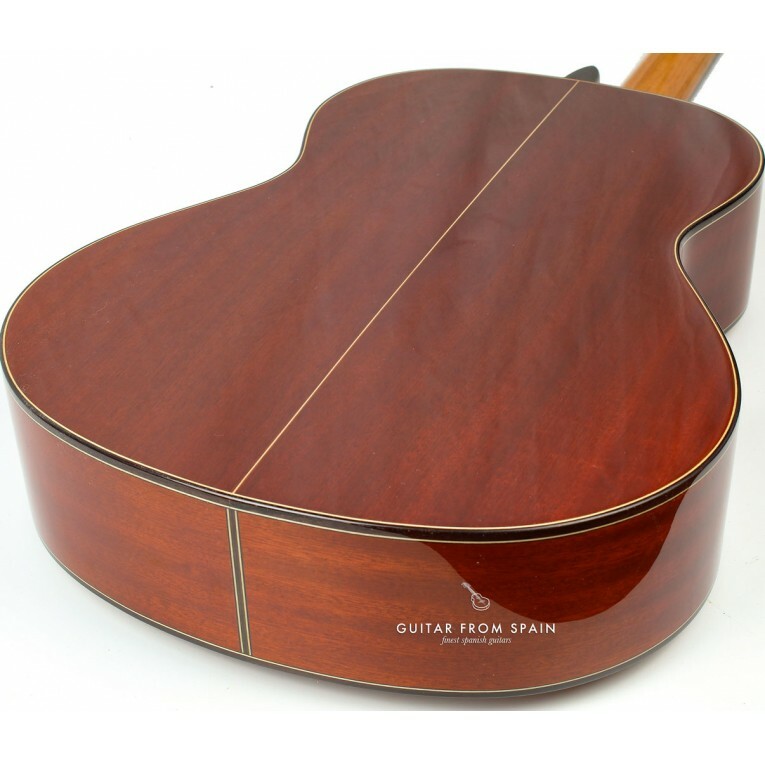 A beautiful ebony fingerboard appeals the eye. 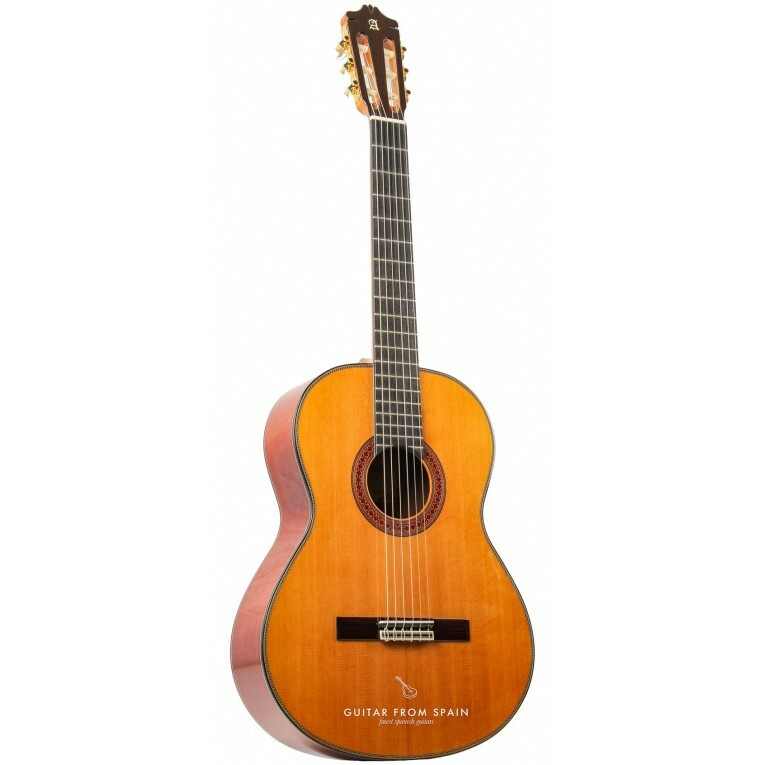 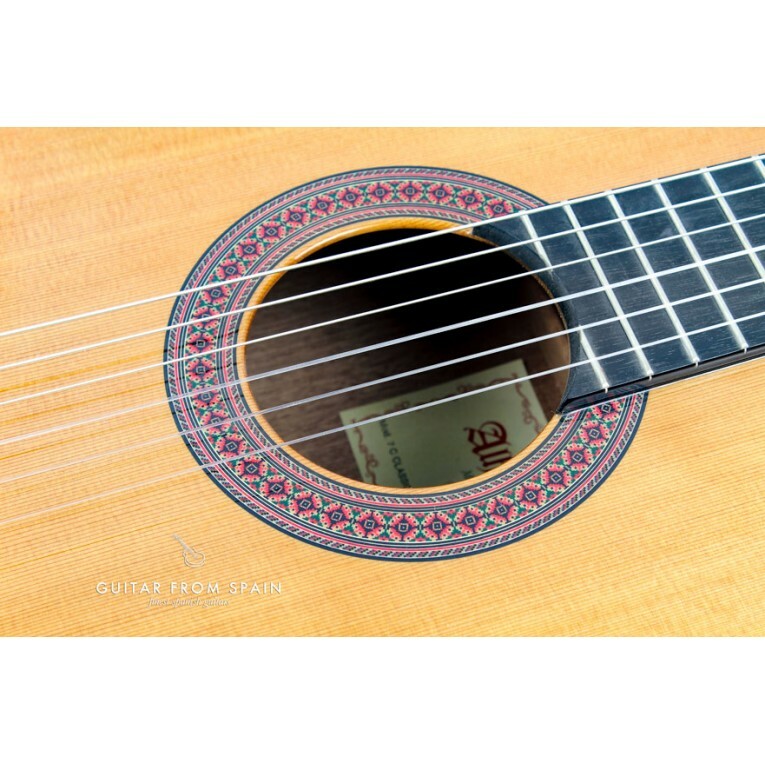 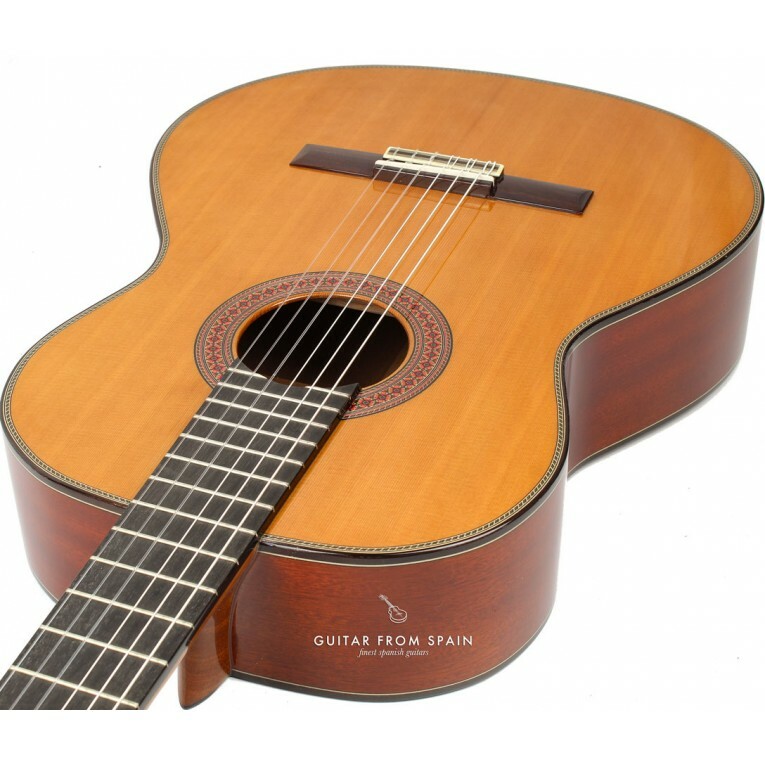 Very good value for money Alhambra guitar. 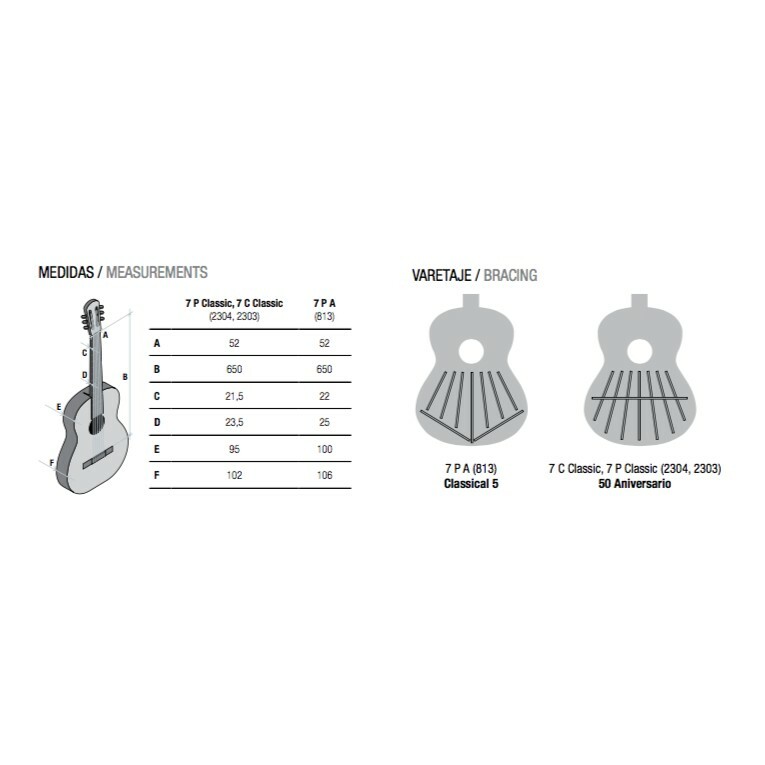 Free Alhambra guitar bag included.